Wyse delivered an innovative electricity submetering retrofit for a building owner eager to increase property value and achieve conservation goals, without any upfront capital costs. We trained all of the owner’s staff in submetering, new resident enrollment, and online portal access. 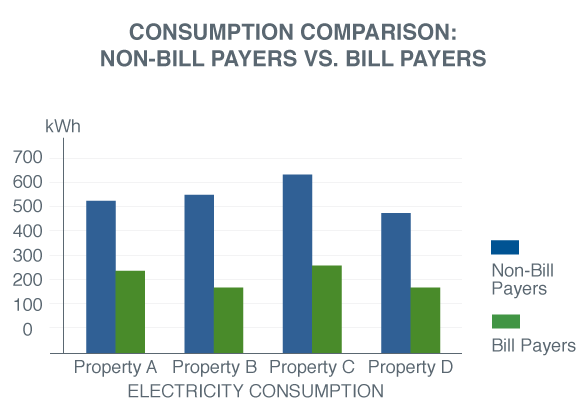 Through submetering, bill-paying residents reduce their electricity costs through reduced consumption. On an ongoing basis, Wyse provides meter reading, billing, multilingual customer service and an online portal to view usage, billing history, and more. Wyse delivered a water submetering solution to improve water efficiency for a large residential owner, with no upfront capital costs. New technology eased the installation and transition to water submetering and implemented monitoring for in-suite leak detection. We customized a one-stop program to offer full online services for residents as well as the client. Wyse continuously provides meter reading, billing, multilingual customer service and an online portal to view usage, billing history, and more. Residents receive accurate monthly water bills with full rate disclosure, and they can easily manage consumption through self-service tools. 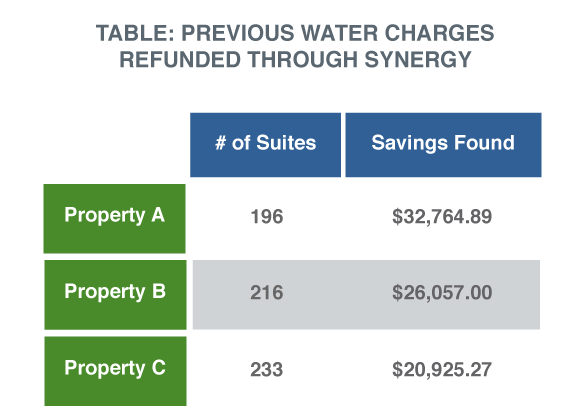 The SYNERGY team challenged a public utility that had previously overcharged a property manager by approx. $79,000 in water costs. We determined that the public utility used estimated water readings that were inflated, for an extended period. 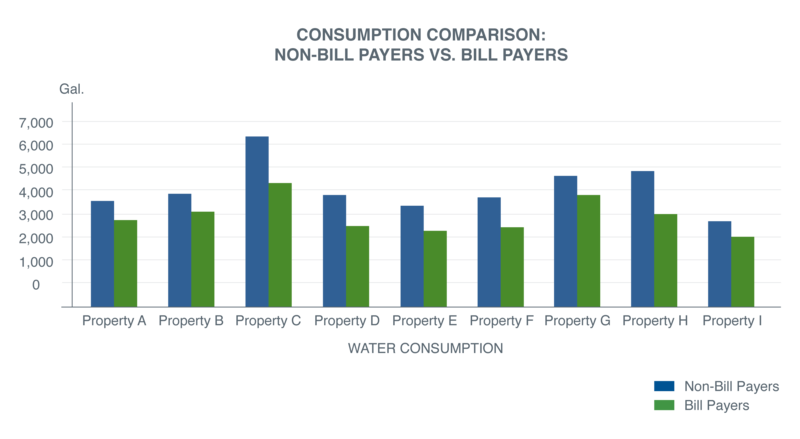 Our utility experts prepared a sophisticated metering analysis that accurately demonstrated true consumption as well as how much money the property manager was owed. Our in-house legal counsel reviewed the relevant bylaws and escalated the dispute with the public utility’s senior management to ensure resolution. On an ongoing basis, SYNERGY manages all processing, auditing, analyzing, reporting and benchmarking for the client’s utility expenses. 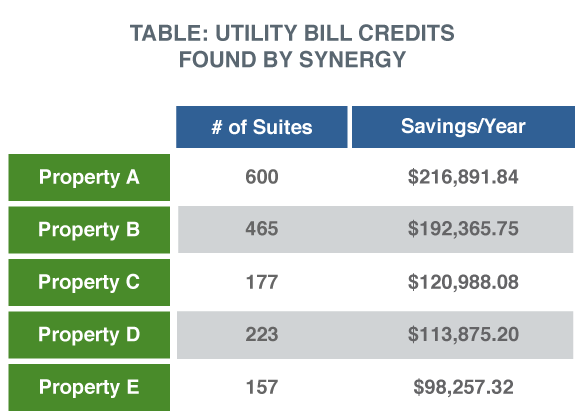 The SYNERGY team assumed total responsibility for the clients’ utility expense management. Our experts completed a robust forensic audit of the properties’ utility bulk bills and found anomalies such as cost & usage variances and incorrect rate structures & taxes. We liaised directly with the local utility providers to secure the utility credits for clients. On an ongoing basis, SYNERGY manages all processing, auditing, analyzing, reporting and benchmarking for the clients’ utility expenses.